We have received a communication from Mr J J Johnson informing us of the death of Sgt. Major Bob Darley, the well-known featherweight boxer. It appears that he was taken prisoner when Kut fell, but was so weak and ill that he was left in hospital in Baghdad, and died there last October. 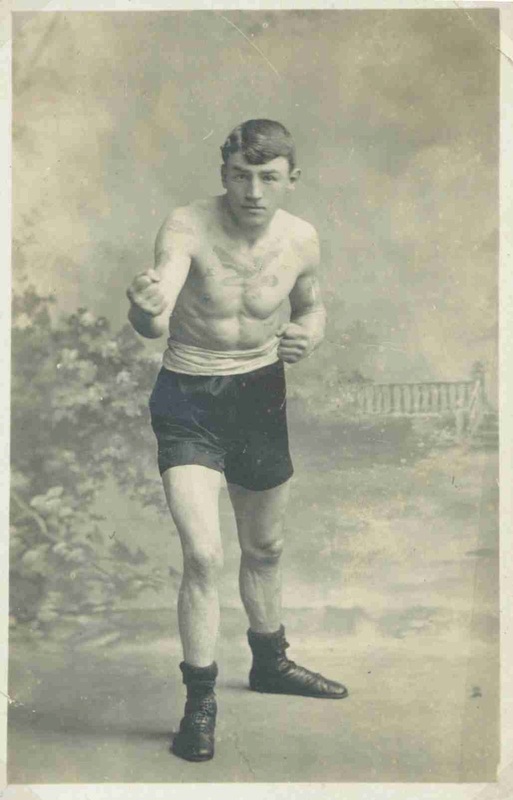 Darley, who was attached to the West Kent Regiment, will be remembered as winning the Navy and Army featherweight championships in 1908 and 1909, while in civilian rings he won several money matches. Standing with right hand and foot foremost, he was an awkward proposition to all 9st. men. His many contests with Driver Windebank created a lot of interest in the Woolwich district, while he defeated Ted Moore, of Tidal Basin, in nine rounds for £25 a side at the National Sporting Club. He met Young Lippo in a fifteen rounds contest at Plymouth on one occasion, but was outpointed by the local man. Darley, who was exceedingly popular with the men of his company, went out with them to India, but soon after arrival volunteered for service in connection with the Persian Gulf expedition, and was attached to general Townsend's ill-fated force, which capitulated at Kut. As Corporal Darley he came from Ireland early in 1914 to Swanley (Kent) where his wife and family are still residing. Darley was an exceptional Army boxer of the Edwardian era. My record for him shows 36 victories from his 48 contests and he boxed Windebank six times in all, including his final contest when the two met for the Kent Featherweight title on October 27th 1913. He died on 27th October 1916 and at the time was the Company Sergeant Major (service No. L/6078). This post is similar to a news report. As such it is acceptable for it to be short, concise and to the point. The presentation is also good and considering that this post is more about content than appearance, I'd say it's a properly done job.